Next Generation Science Standards (NGSS) are in demand, but the supply of high quality K-12 instructional materials in science is lacking. This disconnect comes at a critical time in the implementation of new science standards, which are now influencing the teaching and learning of more than 50 percent of the students in American schools. As of spring 2017, 18 states plus the District of Columbia have adopted the NGSS, and 16 states have adapted their state science standards based on the Framework for K-12 Science Education and the NGSS. 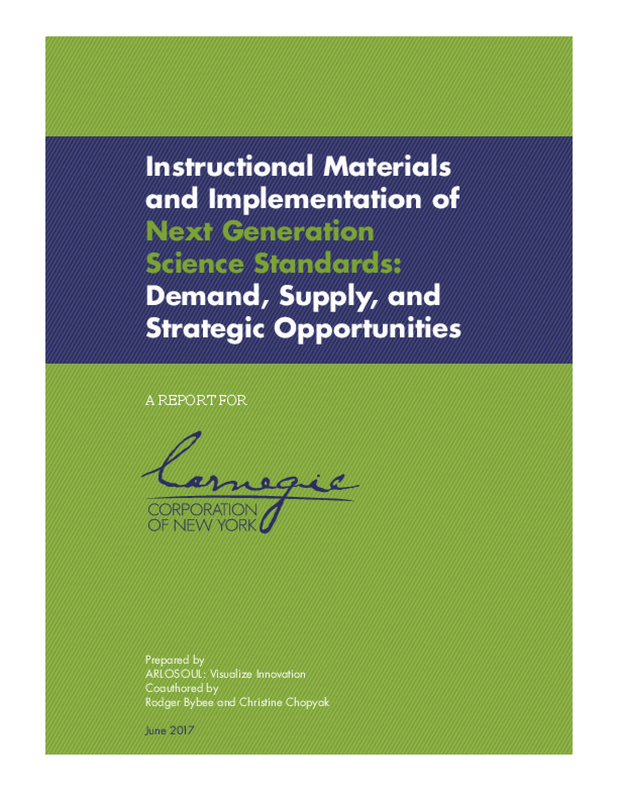 As part of Carnegie Corporation of New York's Education Program, we have observed the growing need to improve the supply and demand for high quality K-12 instructional materials and professional learning designed for the NGSS. To inform the grantmaking in our Leadership and Teaching to Advance Learning portfolio, the Corporation recently held a convening of science curriculum developers, experts in professional learning, state and district science leaders, and other educators to discuss these challenges. Copyright 2017 by Carnegie Corporatiion of New York. All rights reserved.